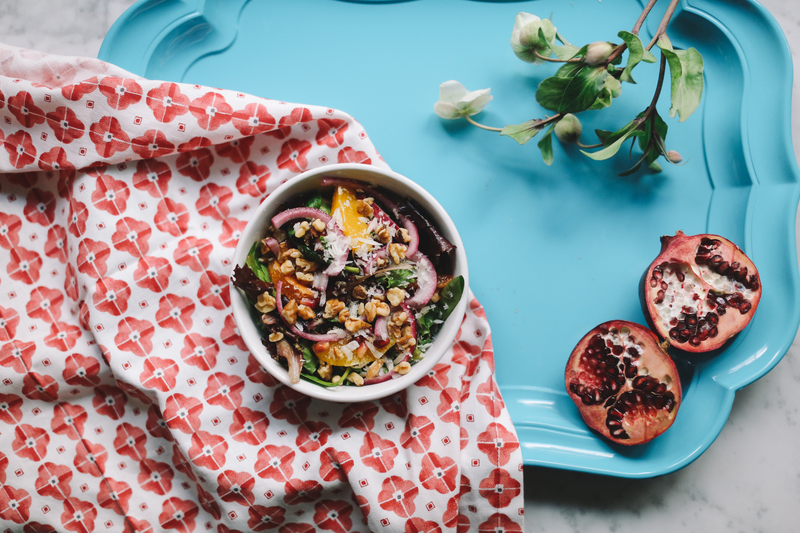 I love this salad because it is light and refreshing as we transition from winter to spring. 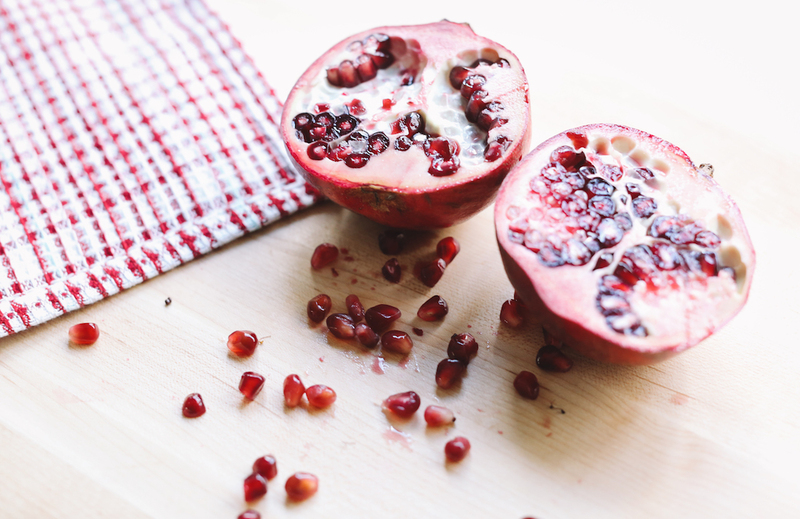 It has a nice kick of citrus and great crunch from the pomegranate seeds and walnuts. All the flavors are rounded out by the pickled onions and nutty manchego. Keep in mind, this would be equally as delicious made vegan without the cheese or feel free to add nutritional yeast. 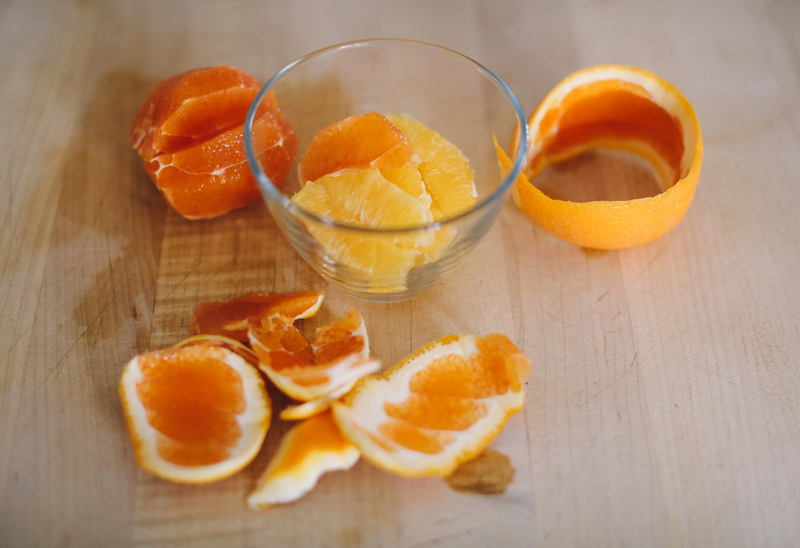 Hope you’ll give my Citrus Salad a try and let me know what you think. Also, don’t forget to tag @livlight_ and #livlight in all of your foodie creations! 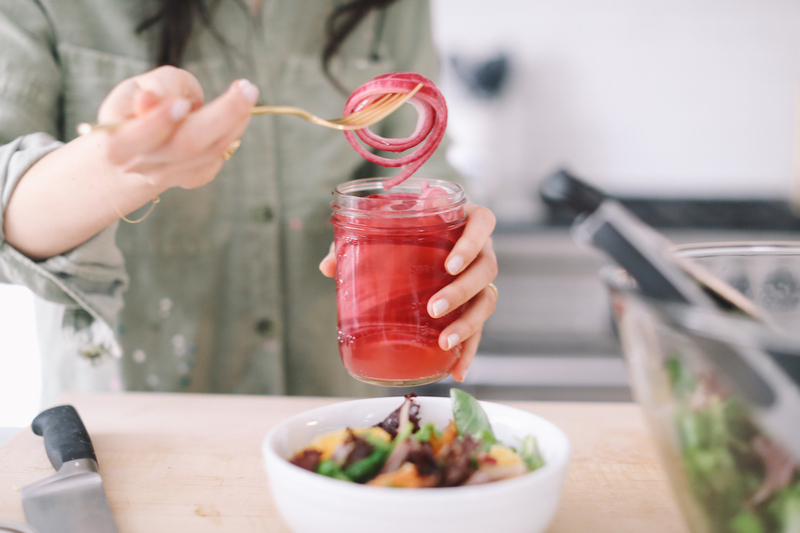 One day prior to making this salad, prepare the pickled red onions by doing the following…Place vinegar, honey, and salt in a mason jar and whisk. Once the honey and salt have dissolved, add onion and water. Cover and give it a good shake. Leave at room temperature for one hour and then place in fridge. These can be kept in the fridge for several weeks, but I like to use them within the first week. 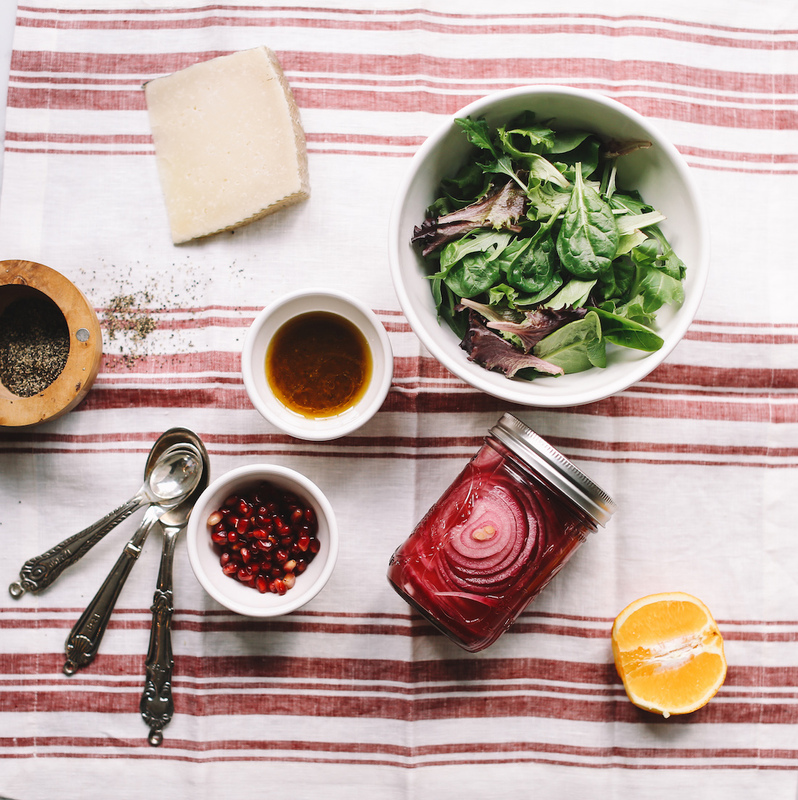 On the day you plan to serve the salad, prepare the dressing by placing the “dressing” ingredients in a small jar and shake to combine. Add “salad” ingredients to a large bowl and toss with dressing.